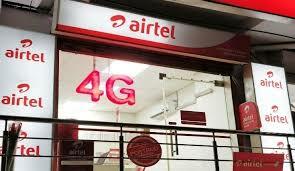 Airtel has announced a new prepaid Rs. 299 pack that brings unlimited voice calling and SMS messaging benefits to its customers. unlimited local, STD, and roaming voice calls with no daily and weekly limits while it also brings 100 SMS messages per day with a validity of 45 days. Apart from this pack another unlimited pack from Airtel priced at Rs. 299 that offers unlimited voice calls (with FUP), 100 SMS messages per day, and 1.4GB 3G/ 4G data per day, with a validity of 42 days. Earlier Airtel has rolled out Rs. 449 prepaid pack that offers a total of 140GB data with an FUP of 2GB of 3G/ 4G data per day, unlimited calls, and 100 SMS messages per day. Validity of the pack is 70 days.